People actively abusing alcohol, prescription medications, and illicit drugs face many challenging obstacles. They must endure the damaging influence of substances on their physical, psychological, and social health, and if they attempt to quit using the substance, they will likely encounter intense, often dangerous symptoms as the drug leaves their body.1,2 Because of these hazards, anyone who wants to stop using drugs should find ways to access formal, detoxification treatment to safely and effectively being on their path to a drug-free life.1,2 Unfortunately, certain barriers to treatment, like a lack of health insurance, discourage people from professional treatment and drive them toward riskier options. 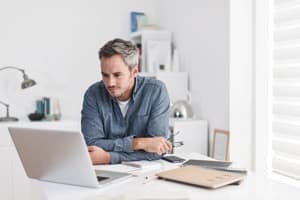 The cost of professional detox can vary depending on the type of detox program, the length of the program, and the type of services and amenities offered. Outpatient treatment refers to options that permit you to live at home, tend to your responsibilities, and care for your family while detoxing.1,2 Outpatient treatment can consist of daily appointments at a detox facility or at a doctor’s office. Generally speaking, the cost of detox treatments varies widely from inpatient to outpatient, with most inpatient detox programs being more expensive than outpatient options. However, they also differ greatly within each type because the price is influenced by a number of additional factors. Special populations treated, like people with mental health issues as well as substance abuse. Average number of people treated at the center, with higher costs associated with a lower number of patients or greater staff-to-patient ratio. Why Should I Get Detox Treatment? Methadone: A long-acting, full opioid agonist that can mitigate unwanted symptoms and reduce cravings. Buprenorphine: A partial opioid agonist with a ceiling to its opioid effects. This medication is often combined with an opioid blocker called naloxone (in the medication Suboxone) to limit abuse potential. Naltrexone: An opioid antagonist that is usually given after someone has completed detox. Clonidine: Clonidine is not sufficient to manage the full scope of the opioid withdrawal syndrome but can be administered symptomatically to alleviate some autonomic symptoms, such as anxiety, sweating, and tremors. 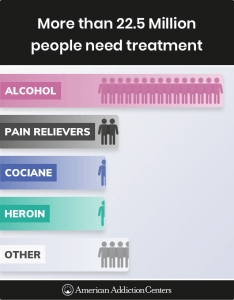 Nearly 1.7 million people for pain relievers. More than 2.1people for opioids. More than 966,000 people for cocaine. Nearly 14.5 million people for alcohol. How can I get immediate detox treatment without insurance? How can I sign up for insurance? How can I get a professional assessment? How can I use community supports? How do I find an insurance provider than covers methadone treatment? 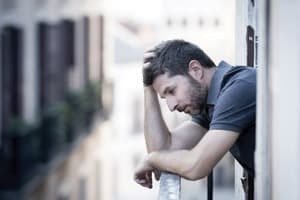 How can I find Suboxone doctors that take insurance? The local mental health or substance abuse crisis hotline. Your local mental health or substance abuse treatment facility. Even if they are not the best fit for you, they can offer valuable information. The nearest emergency department, if the symptoms warrant immediate attention. Always provide an honest and complete description of your status to find the appropriate treatment because people with special concerns like homelessness, pregnancies, and medical issues may require a different type of treatment or detox than someone without such considerations. Depending on the care you need, you may begin treatment the same day. Remember: Your life or the life of a loved one is too valuable to risk. Be sure to seek treatment rather than put a life in jeopardy. In a non-emergency situation, you will still need to figure out a way to pay for detox if you don’t have insurance. Making payments: Some detox centers will place you on a payment plan that allows you to pay off your treatment over a reasonable amount of time. Sliding scales. Often, treatment centers offer sliding scales for cash-pay clients based on income. This can make your detox far more obtainable. Financing options. Not all facilities will require you to pay the full cost upfront. You might be able to work out a system where you can pay over time, lessening the immediate financial burden. Loans. Some centers offer loans to help you afford the care you so desperately need. Scholarships. It’s not unusual for detox or other treatment centers to offer partial or full scholarships to those who meet their qualifying criteria. Always ask if this option exists when considering where you’ll get treatment. Don’t assume you can’t pay for your treatment because you’re currently uninsured. Always ask a potential facility about any options they have to make your care more affordable. It might help to have documentation of your income, such as a recent pay statement, prior to calling. How Do I Sign Up for Insurance? Medicare: Health insurance for people 65 and older, people with specific disabilities, and people with kidney disease. Being a parent caring for a child. The Affordable Care Act (ACA)/Obamacare: Affordable health insurance options for people outside of the previous categories. This act also expanded all mental health and substance use coverage by requiring most plans to include these services. The Mental Health and Addiction Insurance Help Portal. A professional assessment is a great way to have your needs, wants, symptoms, and goals evaluated by a treatment expert. Screening: Occurs in any setting and assesses for risky behaviors using simple and easy-to-score tools, which produce a clear rating of the addiction severity. Brief intervention: The provider offers feedback and advice regarding your substance use, advocates abstinence, and discusses behavioral changes to support recovery. Referral to treatment: The evaluator recommends detox, therapy, and additional services appropriate for your status. Previous encounters with law enforcement. Professional detox programs facilitate your recovery by helping you transition to an ongoing addiction treatment program, which then uses a comprehensive approach to address each area. 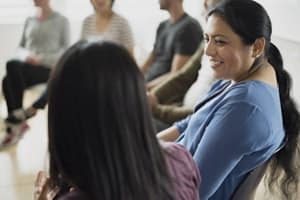 There are a number of free and widely available support groups that can expand the benefit of professional treatments and complement your recovery progress.1 Many people attend support groups once they complete detoxification and continue to need community support as a form of relapse prevention. Other 12-step groups are available for the friends, family, and loved ones of people with addictions including Al-Anon and Alateen. SMART Recovery (Self-Management and Recovery Training) offers face-to-face and online meetings to aid in recovery. Secular Organizations for Sobriety (SOS) is an independent network of groups focused on recovery without religious influence. LifeRing provides peer-to-peer support through meetings, online groups, and internet forums. Support groups can be very helpful, but they should not be used as a replacement for specialized professional detox and addiction treatment, especially if you are addicted to a substance with potentially fatal withdrawal symptoms. Substance Abuse and Mental Health Services Administration. (2017). Key Substance Use and Mental Health Indicators in the United States: Results from the 2017 National Survey on Drug Use and Health. U.S. Centers for Medicare and Medicaid Services. (n.d.). What’s Medicare? Centers for Medicare & Medicaid Services. (n.d.). Medicaid. S. Department of Health and Human Services. (n.d.). Health Insurance and Mental Health Services. Substance Abuse and Mental Health Services Administration. (n.d.). SBIRT: Screening, Brief Intervention, and Referral to Treatment.